Brad Simon submitted this photo and caption. This is a picture of two Colt Cadets' "Twins." 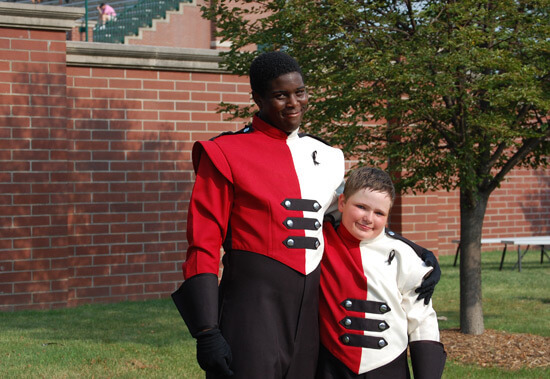 Johnathan Jackson and Aaron Simon were both first-year members of the Colt Cadets and had just exited the field after the World Championship Open Class Prelims in Michigan City, Ind. Both in the brass line, they had a great experience and were good friends.